The first ever knock-sprint at a World Cup race took place overnight in Prague. Of the 4 NZL athletes Tim Robertson and Lizzie Ingham both made it through the qualification race to make the knock-out quarter-finals. 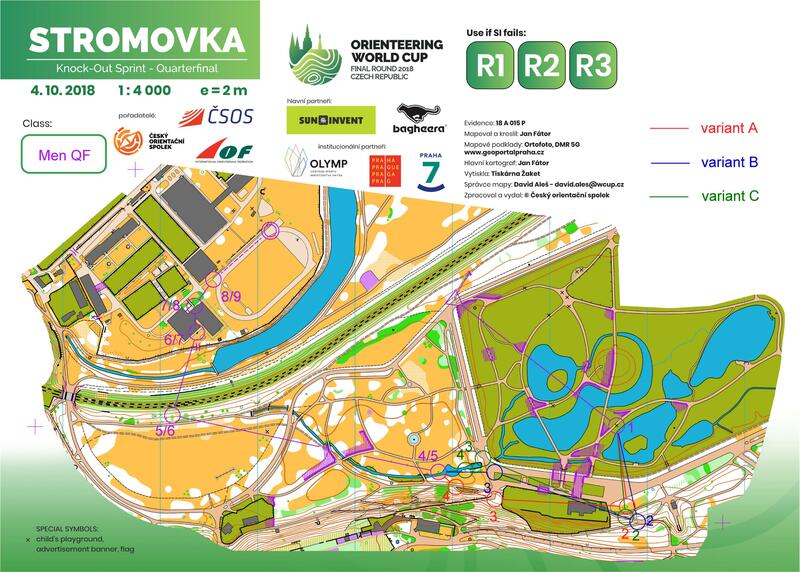 Here, however, unlike the qualification and later semi-finals and final, the courses could almost be said to have been a cross-country race with little in the way of navigation or route choice. This heavily favoured the speedsters and both Tim and Lizzie finished 5th in their respective races to miss out on the semis. Tim, following his wonderful WOC was naturally disappointed, but was in good company as several other top sprinters fell at the quarter-final stage and, although both making it through the quarters WOC gold and bronze medalists Daniel Hubmann and Andreas Kyburz both went out in the semis. Lizzie, in contrast, exactly a year to the day after heart surgery, was happy with the chance to rest her legs in the afternoon. Qualification Men Heat B: 1. Martin Hubmann (SUI) 10:06, 2. Max Peter Bijrner (SWE) 10:07, 3. 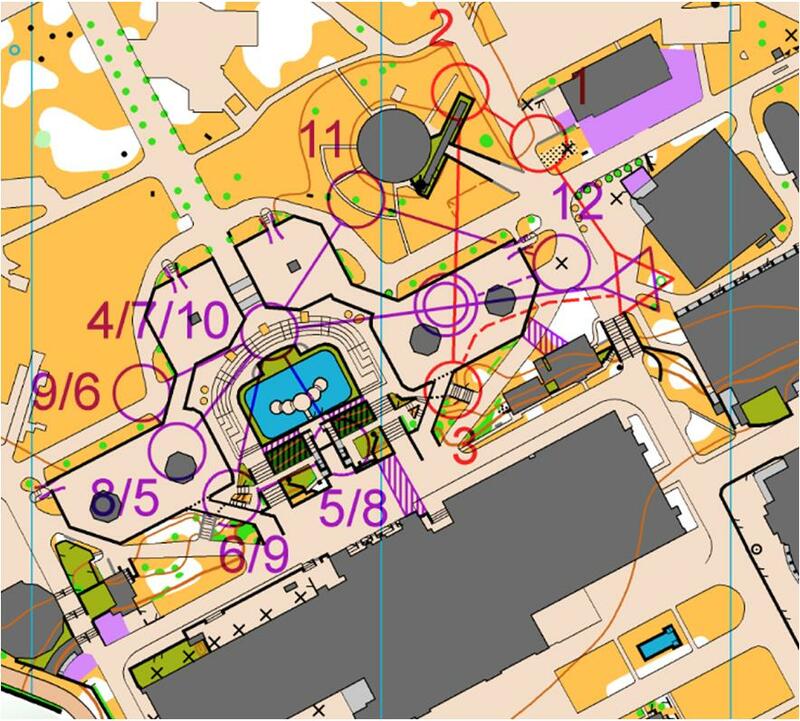 Jonas Leandersson (SWE) 10:10, 27. Toby Scott 11:32. Qualification Women Heat B: 1. Karolin Ohlsson (SWE) 09:02, 2. Sofie Bachmann (SUI) 09:04, 3. Anna Narhi (FIN) 09:04, 9. Lizzie Ingham 09:15. Qualification Women heat C; 1. Lina Strand (SWE) 09:03, 2. Sabine Hauswirth (SUI) 09:07, 3. Maija Sianoja (FIN) 09:13, 18. Laura Robertson 09:47. Men Q-F C: 1=. Gustav Bergman (SWE) 07:45, 1=. Oystein Kvall Osterbo (NOR) 07:45, 3. Matthias Riener (AUT) 07:46, 5. Tim Robertson 08:06. Women Q-F F: 1. Anna Narhi (FIN) 07:27, 2. Jana Knapova (CZE) 07:31, 3. Amanda Falk Weber (DEN) 07:34, 5. Lizzie Ingham 07:47. Men Final: 1. Vjoltech Kraal (CZE) 06:37, 2. Jonas Leandersson (SWE) 06:40, 3. Gustav Bergman (SWE) 06:44. The World Cup continues tomight with the sprint realy with Laura leading off, followed by Tim, Toby and lizzie on the last leg.